Imagine a degree in Economics, an MBA and a Ph.D in Hospitality and you've got Campus First. Value-focused strategy, dedicated management, and hands-on service dictate every project we undertake. We are committed to developing and managing exceptional student housing tailored to meet each resident's unique needs and to heighten value for our partners. The guiding principal of Campus First is to treat each student property as its own and to remember that each property is its own individual business first and foremost. Campus First operates with a total focus on its managed properties, owners and customers. We provide tailored services that fit the needs of today's resident, while at the same time focusing on owner requirements and expectations. Campus First starts with a critical competitive advantage: a very high regard for customer/client service. We believe it is essential that the customer (whether investor, resident, or other individuals related to a property investment/ownership) feels they are being treated with the utmost respect, care, and urgency. All staff and personnel go through a training program that teaches many of the skills needed for successful client relations and customer service. "We would highly recommend Campus First for any third-property management takeover. They came into a very unique situation with a struggling asset and on-site team and turned it around for us immediately. Their marketing ideas, social media awareness, and customer service to our residents continue to impress us on a daily basis. Their smaller team is made up of A+ individuals who can give each asset much more attention than the larger management firms out there. We have been truly impressed and pleased with the performance thus far." Starting with our CEO and extending through executive staff, management, and corporate support, Campus First is a continuous chain of integrated talent. We grow a culture of communication which seamlessly unites multi-tiered efforts to create a cohesive and uniquely successful product. Combining decades of unparalleled success in the multifamily real estate industry, our people focus intently on the communities they serve, while maintaining a clear and dynamic vision for progress and growth. Innovation, teamwork, service, and partnership are the benchmarks of our proven success. Over his 23 year career in the construction and development field, Mr. Arthur has been involved in all facets of the building industry and has demonstrated a proven track record of success. With a background in Accounting and Engineering, Mr. Arthur began his career in drafting and structural design with Rylan Homes, and utilized this background into opening a Construction and Management company spanning a multi state area. After selling controlling interest of his business in 2009, Mr. Arthur moved into the management end of the industry with a primary emphasis on multifamily housing. With his previous employment Mr. Arthur was responsible for oversight of more 2,000 private and government funded properties with a combined value of over 625 million. 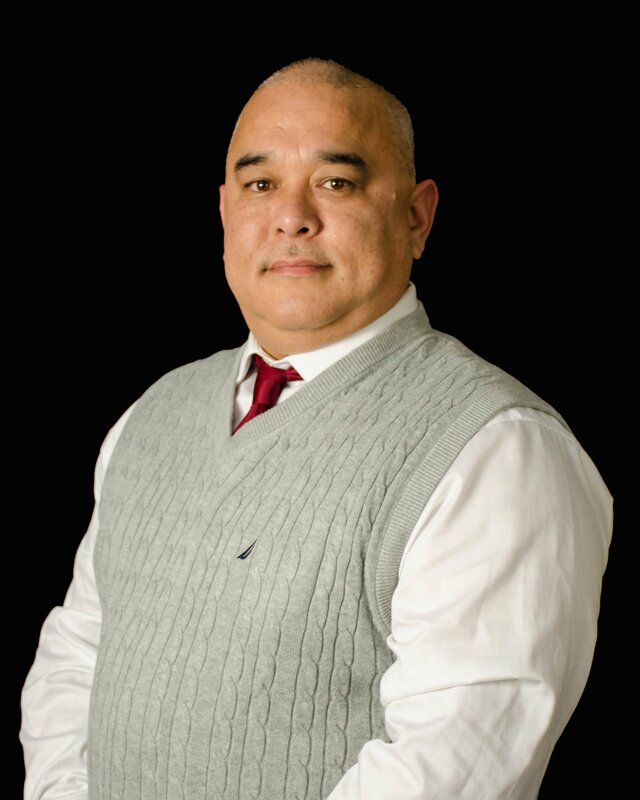 He has also served in the past as an Area Service Manager over multiple properties, and Project Manager for Campus First student division where he demonstrated a proactive and decisive approach to management of all construction and renovations. As Director of Construction services Mr. Arthur is responsible for oversight of the construction and renovation division. Within this role he oversees construction and renovation budgeting, ensures the completion of all design and construction/renovation projects, assists with new acquisition analysis and is involved with owner/investor relations for our portfolio of properties within both conventional and student divisions. Over his 10 year career in Student Housing David has climbed the ranks amongst some of the industry’s most recognized companies. From Area Property Manager in multiple markets to the Operations Specialist and Systems Analyst over 21 properties, David brings a diverse wealth of knowledge and experience. David has expertise in enhancing troubled assets and taking premier assets to the next level. With David’s oversight, his multimillion dollar portfolios consistently exceeded NOI and maintained a resident retention rate of 40% and above. David is a dynamic, motivated and highly experienced student housing veteran with a solid history of success. He is a Steadfast leader and mentor with a track record of leading top-performing teams, optimizing internal operations, and minimizing expenses. He has a great reputation among his peers and brings great relationships with him to Campus First. In his role as Regional Property Manager with Campus First, David will oversee all properties in the Midwest and Northeast and will be based out of our Pittsburgh, PA regional office. David is looking forward to applying his hands on, all in approach with Campus First’s boutique platform. Over her 5 year career in the student housing industry, Bryanna has been responsible for multiple assets of leasing and marketing for multiple markets. She has traveled within recent companies to train in leasing, marketing, operations and to bring teams to their fullest potential. Within her first year with Campus 1st, Bryanna was awarded an MVP Award and shown through as a standout amongst her team. Starting as a Leasing Consultant in Slippery Rock, PA, then shortly being promoted to a Leasing and Marketing Manager Bryanna quickly became a key component in helping struggling sites lease, guerilla market, train up staff, and reach occupancy and rental rate goals. In her current role with Campus 1st, as Regional Leasing and Marketing Manager, Bryanna is part of the Due Diligence and Acquisition teams. Bryanna is primarily responsible for overseeing all leasing and marketing efforts across the Campus 1st portfolio. With previous experience as a Leasing and Marketing Manager as well as a roving LMM, Bryanna is able to give insight into individual markets to drive traffic, adjust leasing and implement new processes and procedures. Bryanna will oversee all leasing platforms, leasing and marketing efforts and techniques at all Campus 1st properties. Bryanna graduated with a BS from Slippery Rock University (PA). Over his career in the student housing industry, Jared has been a leader in leasing focused roles in three different markets. Starting as a Senior Leasing Consultant in a growing market in Florida, he played a huge part in leading his team to meet and exceed their leasing goals. Jared was quickly recognized, and promoted, to Assistant Property Manager in a different market in Maryland. From day one he took control of all leasing, and has exceeded goals every month. Because of his expertise in Leasing, he was selected to travel and assist with leasing efforts in other markets, and has helped lead those properties to meet and exceed their goals, in addition to keeping his own team on track. He was later promoted to an Area Assistant Property Manager in Maryland for two properties in the market. Jared has trained a full leasing staff, who had no previous experience, into a dynamic team of leasing stars who have exceeded goal every month. He has expertise in leasing, marketing, staffing, training, and motivating employees to exceed goals. Jared was recognized for his willingness to go the extra mile and was given the “Go Getter” award by Campus First Student Living for 2017. In 2018, he took his talents back to Florida as an Assistant Property Manager. In his new role, Jared will be overseeing all training and development implementation at all Campus 1st sites. He will also be overseeing reporting, numbers, due diligence, and other avenues that involve leasing for Campus 1st. Jared graduated with a BS in Communications - Public Relations from Millersville University (PA). Carly is the behind the scenes support that makes sure visuals across the company are appealing, cohesive, and up to brand standards. 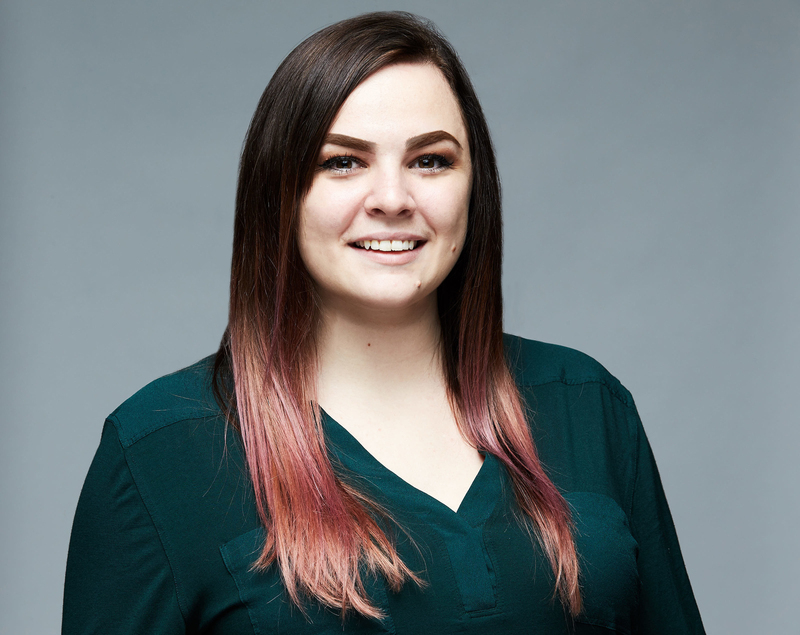 Over the past four years, she has touched a little bit of every aspect of the design field including branding, marketing, social media, signage, and promotions. At Campus First, Carly oversees the creation of promotional materials, social graphics, signage, and any other in-house design needs. Carly graduated from La Roche College with a BS in Graphic and Communication Design (PA). Over his 11 year career in Student Housing, Kevin has successfully held several positions that include Service Technician, Service Manager, Senior Service Manager and most recently Regional Service Director for Campus First Student Living. Kevin Bell is responsible for overseeing the preventative maintenance program, property turnover, daily maintenance operations and capitol improvements of over $500M in owned assets. Kevin is also responsbile for the hiring, training and oversight of our on-site Managers. Kevin plays a vital role in all due diligence projects and site takeovers. Ryan Perez joined CF Real Estate Services in March of 2016. Ryan serves as the Vice President of Marketing where she leads all efforts in branding, communications, reputation management, social presences and advertising. She brings an extensive knowledge of the multifamily sector of real estate with 12 years of experience in the industry. Ryan most recently held the position of Vice President of Marketing for Landmark Apartment Trust, a Tampa based REIT with approximately 25,000 units. During her tenure at Landmark, she was responsible for a company-wide rebrand, advertising, marketing, social media, online reputation management and operational based growth of each asset as it correlated to overall visibility and exposure. In addition to overseeing all marketing platforms, Ryan works closely with the operations analytics department to maximize property performance by monitoring, tracking and analyzing performance data portfolio-wide. Ryan currently serves on the NAAEI Program Administration Committee as well as the Apartment List Leadership council. She was awarded the "Best Use of Social Media" Circle of Excellence award from the First Coast Apartment Association in 2014. Ryan has also been an active speaker at industry conferences such as Multifamily Pro's Brainstorming, AIM, GAA, Zillow, Apartments.com webinar series and is a participating partner in the "Power of We" Rent Path program. Ryan earned her MBA from the University of Illinois and her Bachelors of Arts degree in English and Technical Writing from Bradley University. She also holds her Certified Apartment Manager (CAM) designation through the Atlanta Apartment Association. Mr. Bingham is responsible for growing third party business with our existing clients as well as creating new relationships with private wealth and institutional clients in both Student Housing and Market Rate Apartments. Ian supervises the due diligence, management contract negotiations and transition process for all new assets at CF Real Estate Services. He brings with him two decades of multifamily experience in market rate and affordable housing. Before joining CF, he was the Vice President of Business Development and Client Relations for Village Green Holding where he was responsible for over 40,000 units of third party growth in a five-year period. Prior to the Business Development role Ian was the Vice President of Operations for the Chicago and East Coast Markets overseeing a portfolio of 10,000 units at Village Green Holding. Ian specializes in assisting clients in achieving their investment goals and has a vast understanding of over 30 markets in the south, mid-west and east coast. Ms. Hatfield has oversight for various CF Real Estate Services departments related to property management, regional maintenance, construction services, and operations support. She is currently responsible for property management operations, corporate and regional marketing, human resources, student living, and education. She has over two decades experience in the multi-family industry including REITSs, public and private ownership. Before joining CF Real Estate Services Sharon was Senior VP of Operations at Southern Land Company and directed all multi-family property management functions for the organization. Prior to that she served as Director of Real Estate for Greystar Management Services in the Southeast. Sharon began her career in the industry with Archstone where she spent twelve years in various operations roles, where she also served as Vice President of National Marketing and Communications. Throughout her career Sharon has been instrumental in realigning infrastructures, organizing and implementing company rebranding efforts, developing business systems and plans, and arranging marketing efforts for acquisitions and high-end lease-ups. Her expertise has been in high barrier to entry markets and competitive soft markets including Manhattan, Boston, Washington DC, Seattle, Miami, Dallas, Atlanta, Raleigh-Durham, Denver and Southern California. Sharon is an active member of the Atlanta and Nashville Apartment Association and is currently seeking her CPM certification from IREM. Campus First is the student housing division of our parent company, CF Real Estate Services. When the company began expanding and acquiring student housing properties, creating a separate division was the clear choice. We began by focusing on the needs of our clients and customers, helping property owners, managers, and their employees create a welcoming community for students and parents alike. Years later, Campus First has become a leader in the student housing real estate market, with 6 properties and $250 Million in equity to our name. Despite this ongoing growth, we remain committed to fostering a productive, educational environment for students across the country. We tailor our services and management style to specific communities and universities in an effort to help every student reach their full potential.